The non programmableYuminashi ECU is relatively new and not many have used it yet, but what are thedifferences between the new Yuminashi ECU and Finbro’s ECU? Both are modified/reprogrammed Keihin ECUs and are “selflearning” using the stock narrow band O2 sensor. They both can be used with modified or big block motors byusing a larger fuel injector. pretty sure oyu listed the diffs as far as i could tell. both are keihin. I know I tried the Finbro ECU way back when, I had to repin on my 2014 grom, this was when ECM was new to the grom BBK kit tuners and not much was known how to do a good tune and for me I tried it on both my 170-183-2v engine and I had nothing but bad luck, either running too rich or not holding idle at cold start. The use of the Yuminashi also recommends that the throttle body size and F/I be changed or DIY until you get the performance you need. 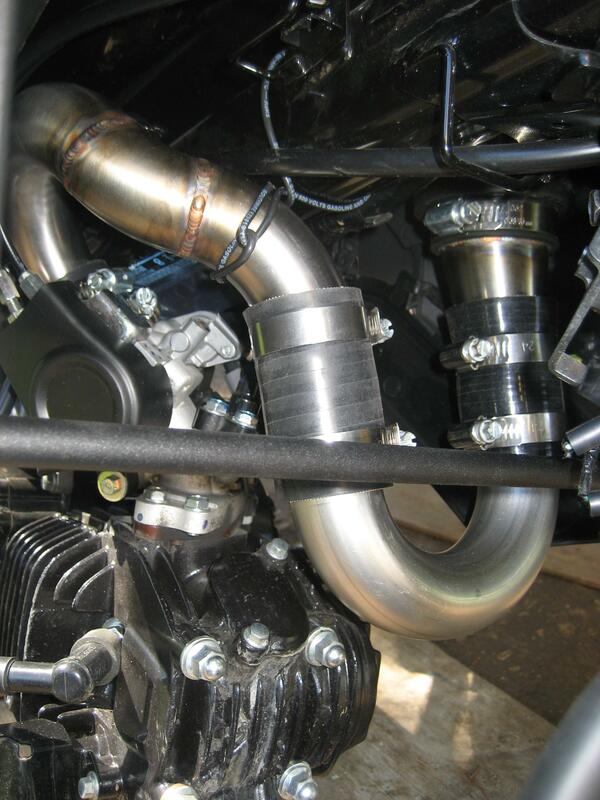 ...and a modified stock exhaust... just cat, no muffler. The low price was very attractive so I took a chance on one. I don't yet know if the Yuminashi lacks a cold start feature because it hasn't been cold enough to trigger it. I'm assuming it doesn't just like the Finbro. It's not a problem here because the weather is mild. Even in the cold with the stock ECU the engine would high idle for only a minute before dropping down. It's highly likely Yuminashi and Finbro are the same product. Mileage has been good with it... 139.0 mpg so far. It's pinned for the OG so four wires need to change sockets to work on a SF. It's not magic but I'm sure it helps. I'm curious too, and when I can find the time, I'll put the TOCE exhaust back on it and get it dynoed. fyi, cold start is triggered on oil temps, so if the motor is "cold" (ie hasnt been ridden in awhile) it will turn on it even with warmer ambient temps. Sounds like the yuminashi doesnt have this... which makes sense as none of the asian market groms have it. Last edited by nd4spdbh; 04-03-2019 at 10:25 AM. ill check on mine if it triggers the cold start solenoid next time i bring it home from work. 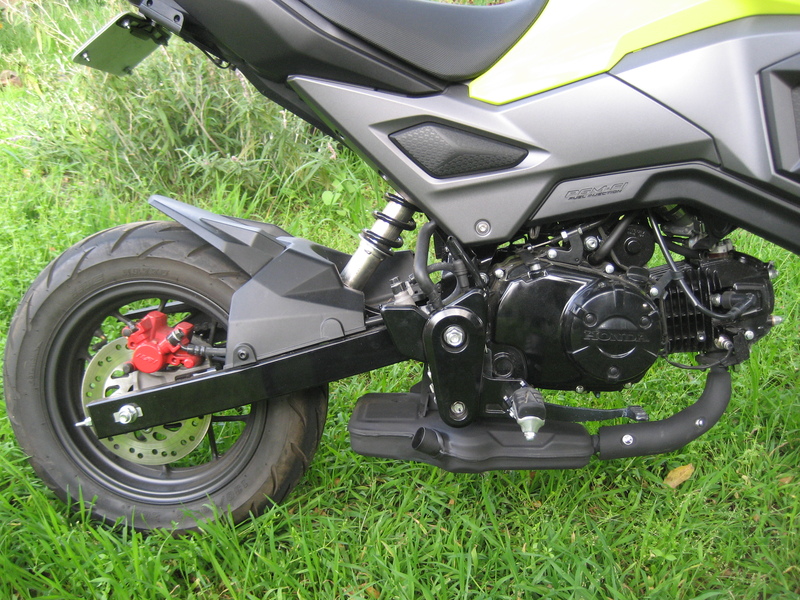 Finbro is a self learning (auto-tune) ECU originally for a CB150R, re-flashed to "work" on the MSX/Grom. Last edited by shush319; 04-09-2019 at 02:13 PM. Yuminashi is a MSX125 (Thailand) ECU re-programmed to achieve 13.1-13.2 AFR (confirmed by Yuminashi via Facebook Messenger) through the whole RPM range (auto-tunes), w/o a rev limiter. The Yuminashi ECU also doesn't have a reset function like the stock ECU because it doesn't need it.